It walked out of the session hall in protest. The Petro Poroshenko Bloc faction has refused to vote until parliament approves a new composition of the Central Electoral Commission, LB.ua correspondents have quoted faction leader Artur Herasymov as saying. "We sincerely believe that the Supreme Council has no moral authority to consider any other issues until the Central Electoral Commission is updated," he said before most of the faction walked out of the session hall. 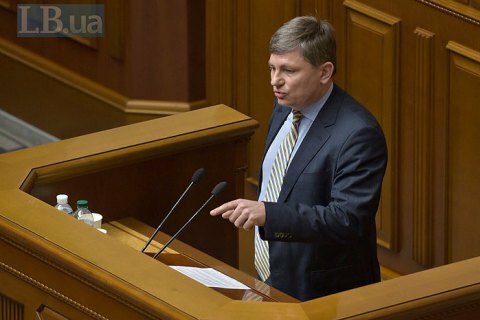 According to deputy faction head Oleksiy Honcharenko, the faction will not return to the session hall "until our colleagues take to changing and renewing the composition of the Central Electoral Commission". "This is not the demand of the Petro Poroshenko Bloc or the president, this is a demand of the Ukrainian people. We can no longer see how the Central Electoral Commission is headed by Mykhaylo Okhendovskyy, how other members whose mandate expired three or four years ago work. This is more or less acceptable when there is no big election in the country. And big elections are about to begin now," he said.